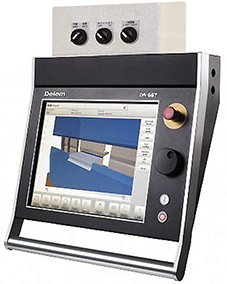 DA-66T offers 2D programming which includes automatic bend sequence calculation and collision detection functions. Full 3D machine set-up with multiple tool stations giving true feedback on the product feasibility and handling. The touch screen gives access to the proven Delem user-interface and enables direct navigation between programming and production. Functions are directly located where you need them, offering optimized ergonomics throughout the application. 3D visualization in simulation and production. Standard Windows functions. User specific applications support. USB keyboard, mouse and flash memory drive. Equipped with European optical scales. Precision ball screw lead, linear slide way and AC servo motor for X axis. Automatic bending sequences calculation and setting. Multi-aspect programming, graphics programming, data programming and one page programming table. Millimetres/Inches, KN/Ton and languages selection. Programmable material properties and axes speed. Bend sequences and real-scale tooling visualization while bending. 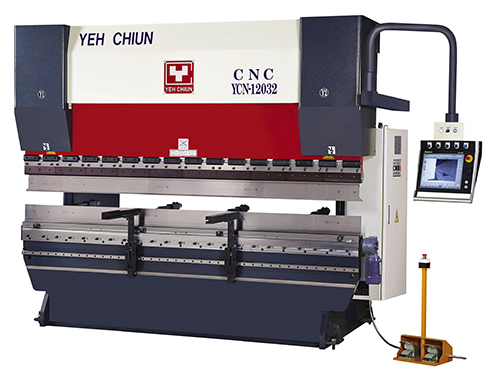 Computed functions include tooling safety zones, press force, crowning adjustment, developed length, axes position, operation modes and etc. Step repeat up to 99 (maximum). Hand-wheel movement of all axes.